Imagine a place where you can stroll down the sidewalk, wave to your neighbors on their porch, then pick up your dry cleaning or have lunch at the café. That’s the kind of walkable, compact, mixed-use community envisioned by the founders of New Urbanism—including Elizabeth Plater-Zyberk. But some people say there’s a reason one of Plater-Zyberk’s developments played a starring role in a memorable Hollywood film about overly constructed reality. George Leonidas Leslie was perhaps the most sensational—and successful!—criminal in American history. An architect by training, he planned and pulled off a series of record-breaking bank robberies throughout the late 1800s and arguably ushered in the modern heist. 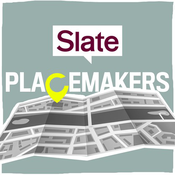 On this episode of Placemakers, producer Mike Vuolo explores the unholy relationship between burglary and the built environment. Long before the Black Lives Matter movement swept the U.S., Dallas’ police chief tried to diffuse the anger and mistrust between minority communities and police. His reforms made an impact. The number of people killed in confrontations with police fell, just as crime fell. But Dallas was still torn apart by racial hate last summer, leaving five officers dead and the city in shock. It fell on the police chief to bring people back together in the aftermath.